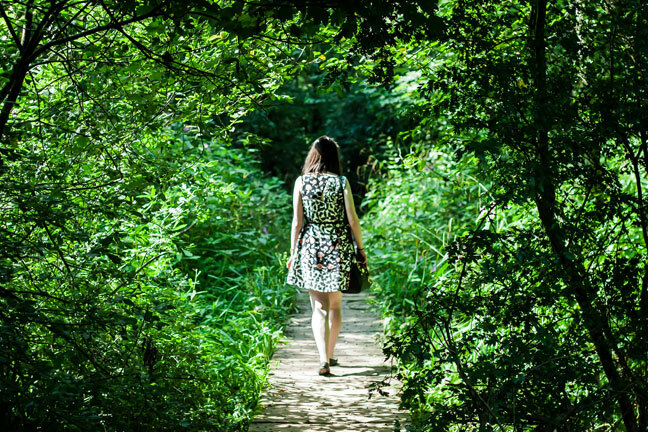 A walk in the woods or even a quick snooze could ignite your employees' imaginations. According to a recent survey, only one in three people believe their offices live up to their creative potential**. Investing in a well-designed office space helps attract the best talent, as well as retaining and inspiring existing staff. Which is why Steelcase, the office furniture designer, looked at how people really worked, and incorporated that knowledge into their designs. Sometimes workers need to be alone to focus on their tasks, and at other times they need to collaborate – whether that’s in pairs, or small or large groups. So the company designed five ‘Creative Spaces’. There’s the Focus Studio and Respite Room, allowing people the privacy to work on ideas and think deeply; the Duo Studio for teamwork and bouncing ideas off each other; and the Maker Commons and Ideation Hub, which help colleagues work together, with the right technology to try out new ideas. No more sitting in a noisy open-plan office tearing your hair out. But there are times when you can’t focus, even in your Focus Studio. And then you need to step away from your inbox, turn off notifications and stop trying to be creative. Some of our best ideas come to us unexpectedly – in the shower, on holiday, on a run – when our mind wanders. Managers should allow for this and build time into projects for people to relax, which is often the time when that flash of inspiration strikes. Leaders need to be vocal about why creativity is important to the company, and provide coaching and training to help employees develop better creative thinking skills. One Microsoft survey asked workers where they felt most creative, and the second and third most popular responses were walking and being outdoors***. Walking stimulates the mind, improving alertness and focus; Mark Zuckerberg even favours ‘walking meetings’. A study from The Stanford School of Education found that a person’s creative output increased by an average of 60% when walking. But even being outside for a few minutes can help reduce stress and boost energy levels, both of which help creativity. When you’re tired you can’t think as efficiently – in one study, 50% of people said they were at their least creative when they were tired, yet in many sectors working hours are longer than ever. In fact, the brain state between sleep and wakefulness is when our minds are at their most creative, so employers might consider giving workers the space and time to have a small rest at work, for no more than 15-20 minutes. Many companies, including Nike, have installed sleeping rooms or ‘nap pods’ to help their teams get enough shut-eye, in turn improving their performance. Technology has a huge role to play. In one study, employees ranked up-to-date devices that allowed them to collaborate with colleagues in the top-10 list of things that allowed them to be more creative. Microsoft Surface devices empower employees to be innovative, wherever they are. The Surface Hub allows people to work together in the ‘command centre’; whereas the Surface Pro works like a modern notebook, where you can jot down notes or sketch something by hand. The Surface Studio is the ultimate digital drafting board and Surface Book is great for both presentations and as a tablet for downtime. Then there’s the Surface Laptop, an ultra-light laptop perfect for working on the go. With such a huge choice of devices, there’s something for every style of working – and, from variety, comes creativity.